Looking to save money on your next real estate purchase? I have good news for you, this town house qualifies for a No Closing Costs Loan! 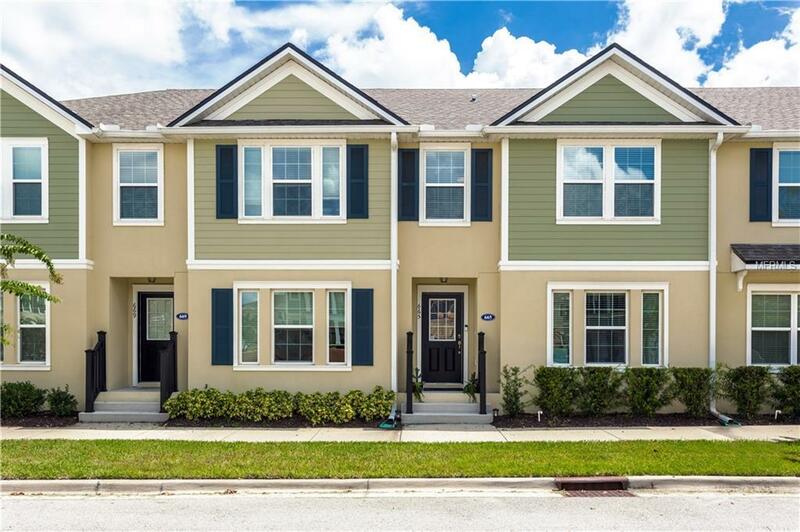 This gorgeous 3-bedroom, 2.5-bathroom town home is located in the quiet community of Jesups Landing in the heart of Winter Springs. Upon entering you welcome the open floor plan concept and a soft color palette to compliment everyones taste. The kitchen features ample counter space, wood cabinetry, Stainless Steel appliances, walk in pantry and over looks the dinning room/ family room combo. You will find there is tile in all the wet areas and carpet in the main living areas and bedrooms. The living room is great for entertaining and has built in surround sound. The Master suite is located upstairs and equipped with large walk in closet, dual sinks, walk in shows and has a beautiful view through the sliding glass doors that open up to the balcony. The two additional rooms are also located up stairs, bedroom 2 has a window nook with sunken book shelf making this room perfect for the occasional reader. Additional features include USB port outlets, utility closet for the washer/ dryer and a 2- car garage. The community of Jesups Landing has a sparkling swimming pool, clubhouse, gym, and direct access to the Cross Seminole Trail.